The denim decline: are jeans going out of fashion? Your favourite item of clothing is going out of fashion. Quick question: when was the last time you bought a pair of jeans? Now answer me this, when was the last time you bought a pair of leggings? So why I am asking you that? NBC news reports that denim sales are in a decline, and 140-year-old denim companies like Levis are in danger of foreclosing, because everyone is buying leggings instead of jeans. Denim companies are blaming the rise of “athleleisure,” the sporty, comfortable clothing trend that has women, mums in particular, donning comfy yoga pants and staying in them all day long. For shame. “‘Athleisure’ is all the rage; from teens turning to leggings instead of jeans and moms sporting their yoga-wear everywhere and all day long. “Athletic and activewear are certainly the new everyday wear and that’s happening no matter what age people are,” reports NBC. So those leggings you’re so fond of? They’re taking down denim companies older than Galapagos turtles. A New York Post article, which also comments on this “crisis of acid-wash proportions,” points out that cost is a major factor for the decline. 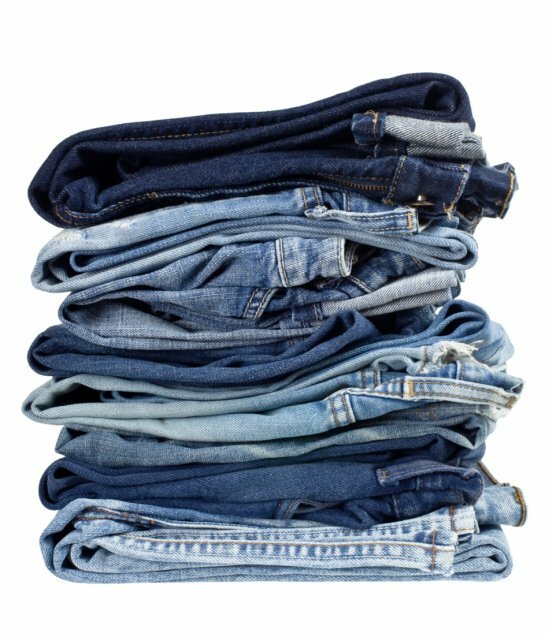 VP Corp, owners of Lee, Wrangler and 7 For All Mankind, have revealed they will soon hold a think tank to brainstorm how to get people back into jeans, but they’re missing one giant, obvious reason. Leggings and yoga pants are a whole lot more comfortable than denim. That’s it, that’s the reason we’re switching lycra for denim: it stretches. I mean, Spanx are really onto something by incorporating their innovative fat-sucking technology with denim. Who isn’t going to want to at least try a pair of those? While leggings worn as pants is a heated topic that still divides the country, there’s no denying the sense of accomplishment you get from spending a Saturday running around in your gym gear. It works even if you don’t make it to the gym – it’s purely psychological. The only psychological effect you can get from wearing skinny denim is the fear that everyone can see your muffin top. Locally Aussie model Shanina Shaik is doing her bit for the denim industry by rocking a Canadian tuxedo in Just Jeans hot new ads, but then again women aren’t really the main target of that campaign, are we? Are you in the jeans or comfy pants camp? And do you own more leggings than jeans?